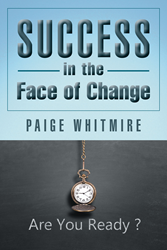 Recent release “Success in the Face of Change” from Page Publishing author Paige Whitmire is an instructive story demonstrating the underlying principles of TLC Leadership that can be applied to any type of change in personal or professional life. Paige Whitmire, the president and founder of Cognitive Change, a consulting firm dedicated to leadership development and empowerment coaching, has completed her new book “Success in the Face of Change”: a transformational tale that can help readers achieve their career and relationship goals through trust, active listening, and effective communication. Joe is a business unit leader faced with the ultimate challenge of change as his company enters a merger. The global culture and gaps in Joe’s leadership style threaten the health of the organization and possibly the success of the merger. Will Joe and his team be able to embrace the behaviors necessary to survive the merger and achieve their goals? How will shifts in the overall culture have an impact on Joe’s effectiveness as a leader? Paige Whitmire’s parable describes common behaviors and characteristics individuals often demonstrate during times of change. The story shows the necessity of strong leadership during times of intense change. The simple yet highly effective TLC model provides a method for skill development that can be used in any personal or professional setting influenced by change small or large. Published by New York City-based Page Publishing, Paige Whitmire’s compelling parable clearly demonstrates concepts that can be applied by anyone seeking to enhance their personal and professional leadership skills. Readers who wish to experience this illuminating work can purchase “Success in the Face of Change” at bookstores everywhere, or online at the Apple iTunes store, Amazon, Kobo, Google Play or Barnes and Noble. Page Publishing is a traditional New York-based full-service publishing house that handles all the intricacies involved in publishing its authors’ books, including distribution in the world’s largest retail outlets and royalty generation. Page Publishing knows that authors need to be free to create - not bogged down with the logistics of eBook conversion, establishing wholesale accounts, insurance, shipping, taxes, and the like. Its roster of accomplished writers can help authors leave behind these tedious and time-consuming issues and focus on their passion: writing and creating. Learn more at http://www.pagepublishing.com.